Meet your Green Team members of 2018/19. We have started the year off by collaborating together and coming up with ideas of how we can make our school and community a better and safer place. During the rainy sessions we have been creating posters to help raise awareness towards saving electricity and the importance of recycling. 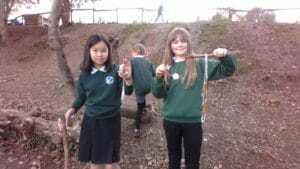 Watch this space for them up around the school. 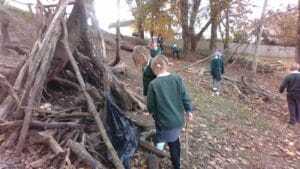 In the meantime, we had an opportunity to work together and help clean up the rubbish around the woodland areas. 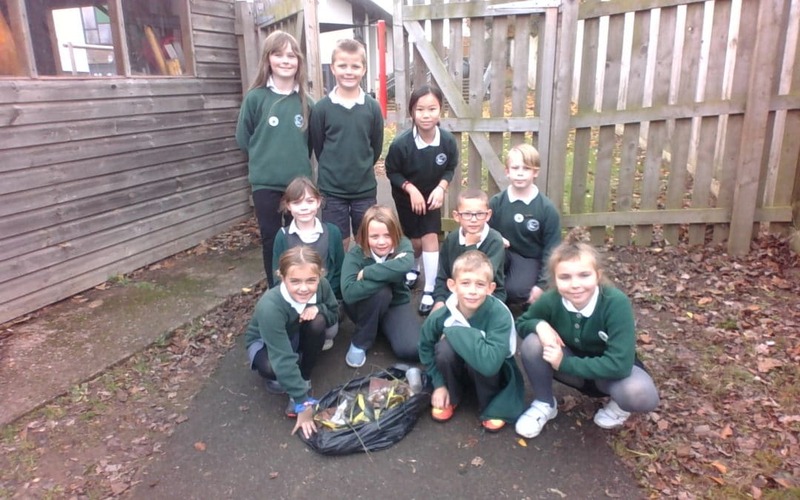 We managed to collect a bags worth of litter in a short amount of time. What can you do to help?